March has been designated by the National Hemophilia Foundation as National Bleeding Disorders Month. Despite the name, the National Hemophilia Foundation is focused on much more than just hemophilia – understanding, diagnosing, and spreading awareness of every type of bleeding disorder is their primary goal. That’s why National Bleeding Disorders month was founded. The public at large is still somewhat unaware of how common bleeding disorders are. 1 in 23,500 people are affected with the disease – and for males, rates of 1 in 10,000 are the norm. Often, the condition goes untreated and undiagnosed until adulthood – or until a major injury, surgery, or other event causes an adult or child to bleed severely – and uncontrollably. 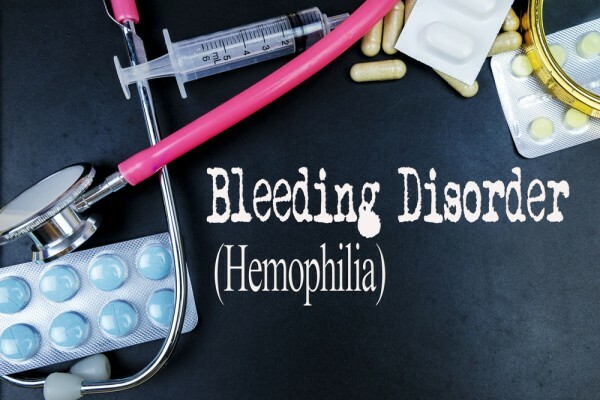 Now, most nurses are aware of major bleeding disorders like hemophilia – these disorders can make treatment of patients very difficult indeed, and can contraindicate many medications that affect the blood. Even pain medication as simple and safe as aspirin can be dangerous for someone who suffers from hemophilia, or another bleeding disorder. In this article, we’ll look at some common questions about hemophilia and other bleeding disorders, so that you can be armed with all the knowledge you need, to spread awareness this March. What Are The Different Kinds Of Bleeding Disorders? There are 13 different “clotting factors” in our body – these are responsible for platelets and fibrin forming properly into blood clots at injured parts of the body. If even one of these clotting factors is deficient, the body’s ability to clot blood is severely reduced. VWD or Von Willebrand’s Disease is not an uncommon bleeding disorder, estimated at taking its toll on about 1% of the entire population of the US. This bleeding disorder results from deficient levels or quality of VWD clotting protein. Hemophilia A is the second common bleeding disorder, resulting from Factor VIII deficiency. I, II, V, VII, X, XI, XII and XIII Factor Deficiencies are extremely rare disorders, identified only within the last 60-70 years. Factor XIII, the rarest, occurs in one out of five million, and factor XI, the most common, occurs in 1 out of 100,000. This qualifies them as “rare disorders” based on the definition of a disease that affects less than 1 out of 200,000 people. Severity of hemophilia depends on the specifics of a patient’s condition and the specific disorder – but all blood disorders cause the following, to some extent. Sustained, extensive bleeding after minor cuts, scrapes, minor surgeries, or dental procedures. How Are Bleeding Disorders Treated? This depends on the specifics of the condition and its severity. For less-severe cases, prophylactic clotting factor concentrates can be taken that help replenish the faulty concentrate within the blood, and aid in clotting when skin is broken, or when bruising begins to develop. There are also topical treatments that can be used on surface injuries, as well as nasal sprays developed to help clot random nosebleeds that affect many bleeding disorder patients. Finally, Fresh Frozen Plasma (FFP) can be administered intravenously in a hospital or clinical setting. This concentrate contains all healthy clotting factors, so it’s useful where specific clotting factors are unavailable, such as in factor V clotting deficiency. Bleeding disorders can prove to be a huge problem for doctors and nurses when it comes to surgical procedures. Usually, patients with bleeding disorders have surgeries delayed for as long as possible. This is because the risks that come along with such an invasive procedure skyrockets with a severe bleeding disorder like hemophilia. However, sometimes surgery is unavoidable. In these cases, there has been some promising research – a study undergone in Oslo, Norway examined 9 hemophiliac patients who underwent 24 total separate major and minor surgical procedures. The patients were treated with a high 100 U/kg “loading” dose of FEIBA, an anti-inhibitor coagulant complex, and then given 200 U/kg of FEIBA for three days allowing levels of coagulants in their bloodstream to rise. They were then tapered to a smaller dose over the next several days. By providing a large amount of this medicine over a period of several days, doctors experienced great results – only 1 major adverse event was observed during surgery, after which the patient experienced a full recovery. It may be that, in the future, surgical intervention on a hemophiliac patient becomes faster, easier, and even safer – a good sign for those who suffer from bleeding disorders. If you’d like to help Hemophilia.org, you can visit their community resources page, or “how you can help” informational board. Spreading awareness is a great way to make sure that those who have gone undiagnosed, receive treatment, and that those who are unaware of the dangers of bleeding disorders recognize the difficulties that sufferers of these rare disorders go through every day. So whether you volunteer, donate, or just use your knowledge to inform others, spread the word this March!